Find more money-saving advice at MrsFrugalicious.tumblr.com! That Linda Joffe Hull’s father thought it well advised to read Kafka in general, and THE METAMOPHOSIS in particular, to his then eight-year-old daughter is a question better left for the therapist’s couch. As a result however, Linda was bitten by the literary bug. Always an avid reader, she ignored the corresponding compulsion to write, receiving a B.A. in Economics from UCLA, embarking on a career in sales and diving headlong into the all-encompassing job of motherhood. Thanks to the encouragement of her long-suffering husband and the incredible support of Rocky Mountain Fiction Writers she finally gave in to the unavoidable urge and finally sat down in front of the computer. The Big Bang (Tyrus Books) is her debut novel. Linda is a native of Saint Louis, Missouri, but currently resides in Denver, Colorado with her husband and three children. 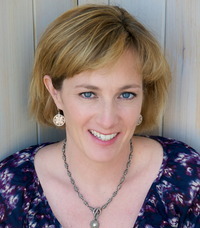 She is a member of Rocky Mountain Fiction Writers and a national board member of Mystery Writers of America. 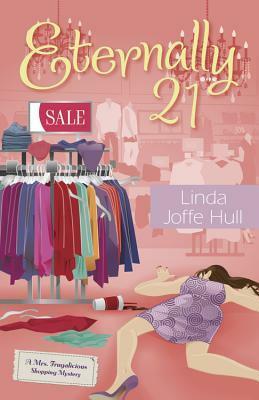 Linda is at work on a second novel as well as the Mrs. Frugalicious mystery series, available June 2013 from Midnight Ink. PLEASE WELCOME LINDA TO BOOKHOUNDS! AMELIA BEDELIA. I absolutely loved that book! AS SHE LEFT IT by Catriona McPherson and HUSH MONEY by Chuck Greaves. I wish! I have an absolute black thumb and live in fear that my house looks like the Munster’s front yard from that old TV show. Home sunburn remedies—my teenage son went hiking up in the mountains and neglected to put any sunscreen on his ears. I doubt he’ll ever make that mistake again. Other than my son’s ears (see above) a lot of things, I’m afraid. For starters--muscle shirts, mispronounced words, bad plastic surgery, and silly intolerance. What a fun interview with Linda! I, too, have tried to figure out good remedies for the ears/back of neck for my ginger son--tough area to cover and they sure don't think about it! Thanks for the chance to win the book, it looks great and I love the title! And Midnight Ink really does publish some good books!